Unique equipment such as the COG - Customised Operation Gear - the personal nano-tech suit worn by those working in space. Calibrate it by choosing among dozens of applications and upgrades. Rules and information regarding VPS - Void Psychosis Syndrome, a mental illness which has the power to bring the whole of humanity to its knees. 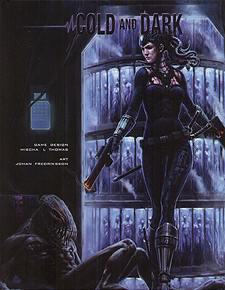 Cold & Dark is a complete roleplaying game and within these pages you will find all the information you need to play the game. Intended for mature players.